Steve Bannon's apparent olive-branch-offering over the weekend has reportedly been snubbed by an angry President Trump who exclaimed: you’re either with Bannon, or with me. 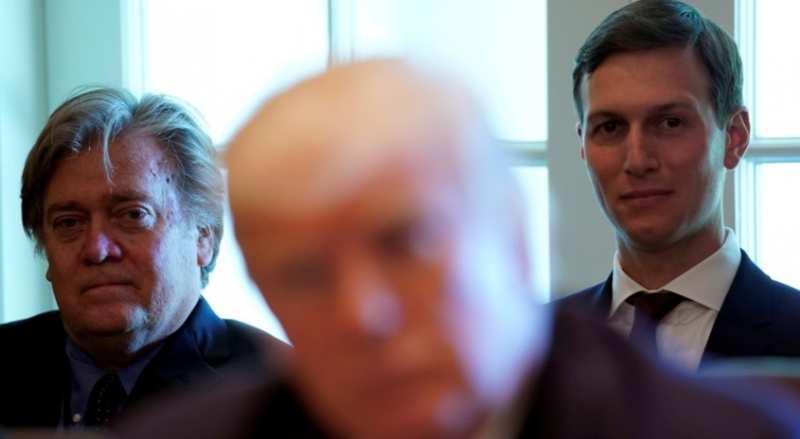 As we reported previously, perhaps in an attempt to salvage his political (or any) career, Bannon issued a statement praising Donald Trump Jr. (who he repeatedly mocked and disparaged in Wolff’s book) saying his negative comments were aimed at Paul Manafort, who has already been indicted by the Mueller investigation. "Donald Trump, Jr. is both a patriot and a good man. He has been relentless in his advocacy for his father and the agenda that has helped turn our country around." "My support is also unwavering for the president and his agenda — as I have shown daily in my national radio broadcasts, on the pages of Breitbart News and in speeches and appearances from Tokyo and Hong Kong to Arizona and Alabama." "President Trump was the only candidate that could have taken on and defeated the Clinton apparatus. I am the only person to date to conduct a global effort to preach the message of Trump and Trumpism; and remain ready to stand in the breech for this president's efforts to make America great again." "My comments about the meeting with Russian nationals came from my life experiences as a Naval officer stationed aboard a destroyer whose main mission was to hunt Soviet submarines to my time at the Pentagon during the Reagan years when our focus was the defeat of 'the evil empire' and to making films about Reagan's war against the Soviets and Hillary Clinton's involvement in selling uranium to them." "My comments were aimed at Paul Manafort, a seasoned campaign professional with experience and knowledge of how the Russians operate. He should have known they are duplicitous, cunning and not our friends. To reiterate, those comments were not aimed at Don Jr."
"Everything I have to say about the ridiculous nature of the Russian 'collusion' investigation I said on my 60 Minutes interview. There was no collusion and the investigation is a witch hunt." "I regret that my delay in responding to the inaccurate reporting regarding Don Jr has diverted attention from the president's historical accomplishments in the first year of his presidency." Wolff refuted Bannon’s statement in an interview with MSNBC Monday, saying that Sunday’s statement from Bannon does not reflect what he said at the time. "It was not directed at Manafort, it was directed directly at Don Jr.," Wolff said. But, as Bloomberg reports, it is too little too late for a furious president, as aides describe the president demanding a stark choice from supporters of both men: you’re either with Bannon, or with me. Trump’s aides are tracking who came out with full-throated criticism of Bannon over the weekend, and they put out the word that the president is keeping score. 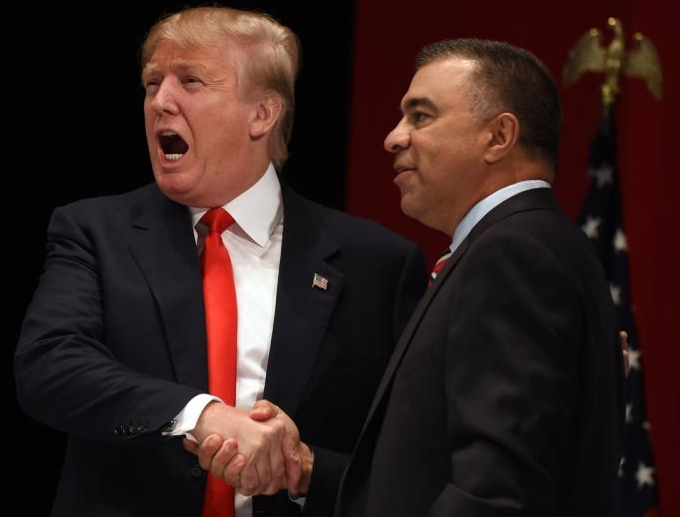 One person who was judged as being insufficiently critical of Bannon was David Bossie, president of Citizens United. On Friday night, Bossie came out with a forceful condemnation of Bannon, his longtime friend, in an op-ed in the Washington Post. While I can’t know for sure whether Bannon said all of the outrageous things that Wolff alleges, he publicly stated this week that he wants Trump and his “America first” agenda to succeed. Trump remains angry at the disloyalty of his former strategist, and is forcing a him-or-me moment inside Trump World and the Republican Party as a whole. “I don’t know if it’s ever repairable,” said Matt Schlapp, the chairman of the American Conservative Union, who has been friends with Bannon for two decades. The implications for Trump’s agenda are stark according to Bloomberg: at a moment when he needs maximum coordination to push through infrastructure, welfare reform and funding for the U.S.-Mexico border wall, he’s at war with the leader of the party’s activist base -- the very voters who propelled Trump to the White House in 2016. Finally, putting another nail in the coffin of the Bannon/Trump relationship, Wolff said today that "I like Steve, I’m grateful" for the time and insights he gave him for the book.